A couple of great themes have been added to the website. Recently This Week started using an updated version of its theme music. The new version has some electric guitar riffs that really give George Stephanopolous’s sunday morning show a great ESPN-like vibe. Also new on the website is the theme music for ABC’s The Lookout, a new kind of news magazine produced by the Nightline team. Like the show, the theme music is different from that of other news magazines. Both these themes are composed by DreamArtists Studios. 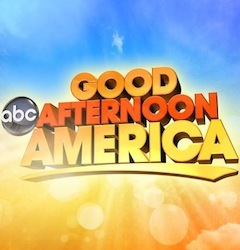 And finally, you can now enjoy the theme song used for the GMA-spinoff Good Afternoon America. The show aired for two months last summer. The theme song is written and performed by country music band Little Big Town. It has not been commercially released so this is the only place you can listen to the full song. 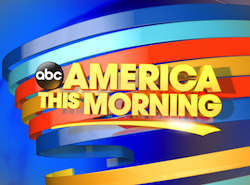 America This Morning, the early morning ABC newscast that precedes the local news in most markets, just started using Good Morning America’s current theme music. DreamArtists Studios is the composer of that theme. 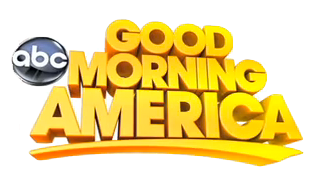 Along with the music, the show also uses a modified version of GMA’s graphics. Previously ATM used a theme by composer Gary Anderson who for many years was a vice-president of Score Productions. That company composed the original ABC News theme in 1978 and its many variations that were used throughout the years but does not exist anymore. Its last remaining ABC News theme on the air is the current World News Now theme. The latest changes to ATM took effect last week. 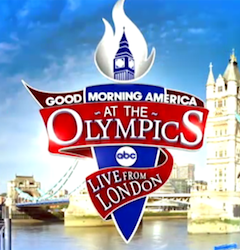 In May of this year the program started using similar lower thirds to those used by GMA, including the time and temperature bug. They, however, did not have the Times Square Studios sign swerve. That swerve is now part of the current ATM open, even though the program is not broadcast from the Times Square Studios. The look and feel of ABC’s early morning newscast has evolved in an interesting way the past few years. Back in the days that the program was called World News This Morning, the branding was in line with that of World News Tonight. 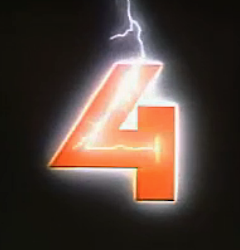 It used a variation of the classic ABC News theme and had similar graphics as the evening broadcast. That changed when the program was renamed to America This Morning. The program started being anchored by two co-anchors, like GMA. Now they use the same studio set-up as GMA Weekend, the same theme music and even have some of the same segments (ATM has its own Play of the Day, a popular GMA segment at the end of the 7.00 hour). ATM is now a full-fledged extension to the GMA brand, a sort of pre-dawn GMA. Read on for some screencaps of the new ATM graphics. Also, check out our piece from last year on how the GMA theme was composed. Just as I was working on this update for the website, it was announced that the Chris Matthews Show would be leaving the air later this year. I was just about to post the two themes that the show has used in its eleven year history. The syndicated show uses a cue from John Williams’ masterpiece The Mission, the theme for NBC News, as its open since 2009. It was actually the music that was intended for NBC Nightly News. When the show debuted in 2002 it used music by Joel Beckerman’s company, Man Made Music. Both themes are great to listen to! I also posted the very nicely done current 20/20 theme which is composed by DreamArtists Studios as we reported at the time. Finally, we have obtained the full version of the theme music used by one of the many short-lived NBC news magazines in the 1980’s: 1986. The show, hosted by Roger Mudd and Connie Chung, lasted for only twenty episodes. The theme certainly doesn’t sound like a traditional news theme. The terrible news out of Boston today marked the debut of a new ABC News special report theme. The previous theme, which had been in use for about two decades, has been retired. DreamArtists Studios composed the new music. The special report theme is often used for big and unexpected news events. Such was the case today. Shortly after 3 p.m. ET George Stephanopolous anchored a special report on the explosion at the Boston Marathon. Recently ABC News had debuted new opening graphics for their special reports that match the graphics for World News. However most of the special reports of late were focussed on the election of a new pope and for that ABC used a special theme. So the new theme did not make its debut until today. UPDATE (April 16, 2013): The new Special Report theme has been added to Network News Music. You can listen to the music right here. 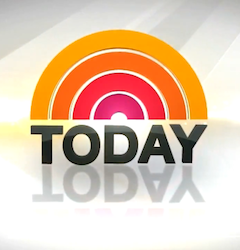 This morning NBC’s Today Show debuted a new opening theme which replaces the John Williams’ fanfare that has in one way or another opened the broadcast since 1985. While the graphics have remained the same, the music accompanying them is a variation of the music that Today has been using for election broadcasts and other special editions. That music was composed by Adam Gubman on behalf of Non-Stop Music so it is likely he is also behind the particular arrangement that is currently used as the opening theme. You can hear the new opening theme here. The version of Williams’ Today open that was used up until today, was a relatively recent version. In late 2011 John Williams rearranged the Meet the Press theme when, at the same time, he re-recorded the Today open. While Williams’ music is synonymous with the Today Show, there have been two previous attempts to replace it: in 1994 (with the debut of Studio 1A) and in 2004. (You can see a clip of the 1994 open on YouTube.) Whether the change will stick this time is unknown right now. Speaking of new theme music, The Huffington Post reports that MSNBC’s NewsNation with Tamron Hall also received some new music. It is composed by none other than legendary pop icon Prince. Well, here it is! The new theme by Hans Zimmer is now online. ABC World News debuted a new theme tonight. 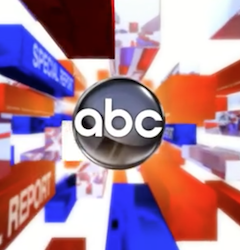 ABC News’ flagship broadcast had been using their previous theme since 2000, when Peter Jennings anchored the broadcast. Unlike their previous theme, this theme seems to have no relation to the original ABC News theme that has been used in various forms since 1978. The new World News theme is a composition by major Hollywood composer Hans Zimmer and sounds decidedly cinematic. This continues a trend of movie composers doing news themes that was started by NBC which commissioned John Williams in 1985 to compose The Mission. There had been some speculation as to when the ABC World News theme would be refreshed. The old theme by Edd Kalehoff sounded dated. Since it started being used, all other ABC News programs have received new themes. 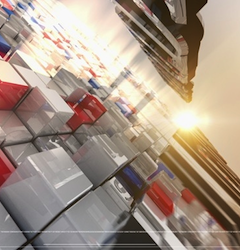 Aside from the theme music, World News also received new graphics. The set remained mostly the same, though some color was added and a few camera angles have changed. At the end of the broadcast anchor Diane Sawyer commented on the changes. “You may have noticed some differences here in our studio,” she said. Sawyer then asked viewers to let them know how they feel about the changes by going to their website. Update: See and hear the new open here. For the first time in two years ABC’s 20/20 debuted a new theme yesterday. It’s part of a major revamp of the venerable news magazine that also includes a new set and new graphics. Once again the theme music is composed by DreamArtists Studios. In every way the program departed from the dark and dramatic feel it went with in 2010. The theme music has that big and bold sound (with a touch of cool) that has become synonymous with ABC News. Recently 20/20 has undergone some more changes. Since earlier this year the program is anchored solo, usually either by Elizabeth Vargas or Chris Cuomo. They haven’t anchored together in quite a while. 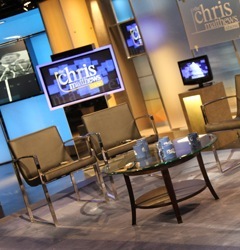 You can see a shot of the brand new set after the jump. “I love that drumroll!” That’s how anchor Robin Roberts affectionately referred to Good Morning America’s new theme music on the broadcast. In fact, the anchors regularly comment that they can’t get started without “that drumroll”. The theme that debuted earlier this year is unlike any other morning news theme. It’s percussion based and splashes energy into viewers’ living rooms. Composer Matthew Kajcienski of DreamArtists Studios succeeded in doing something different. But how was this theme composed? Network News Music talks to Kajcienski about how a different idea was turned into a popular theme that helped GMA beat the Today Show in the ratings for the first time in sixteen years. Late last year GMA was in the market for a new theme. In the past year or so the morning show had undergone huge changes. The format was changed to include a great emphasis on lifestyle, entertainment and crime news. Josh Elliot and Lara Spencer were added as anchors. And they started using a new street level studio. To complement all those changes, ABC decided that the show needed a totally new theme and graphics. The previous theme was too serious and orchestral and wasn’t a good fit with GMA’s new format.